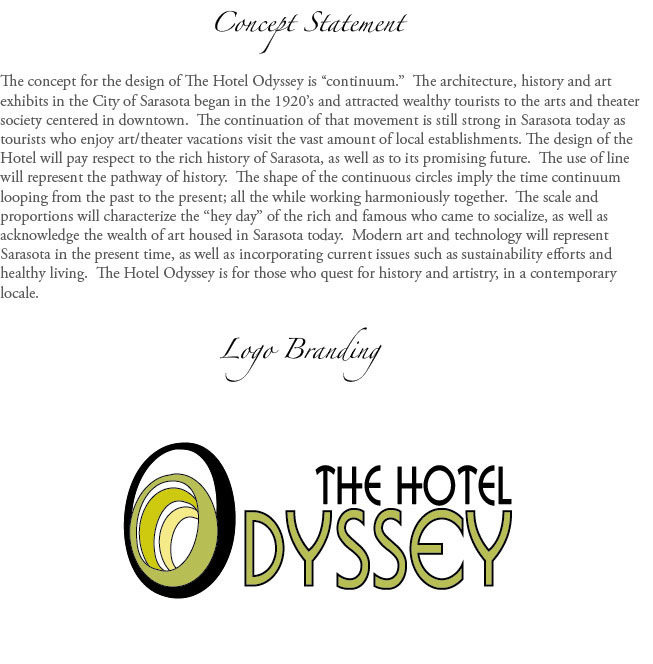 The concept for the design of The Hotel Odyssey is "continuum." The architecture, history and art exhibits in the City of Sarasota began in the 1920's and attracted wealthy tourists to the arts and theater society centered in downtown. The continuation of that movement is still strong in Sarasota today as tourists who enjoy art/theater vacations visit the vast amounts of local establishments. 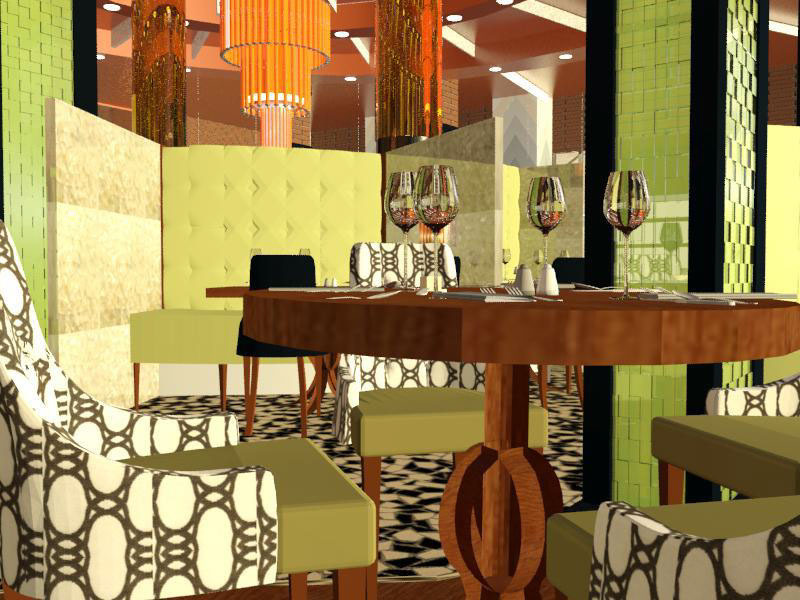 The design of the hotel will pay respect to the rich history of Sarasota, as well as to its promising future. The use of line will represent the pathway of history. The shape of the continuous circles imply the time continuum looping from the past to the present; all the while working harmoniously together. The scale and proportions will characterize the "hey day" of the rich and famous who came to socialize, as well s acknowledge the wealth of art housed in Sarasota today. Modern art and technology will represent Sarasota in the present time, as well as incorporate current issues such as sustainability efforts and healthy living. 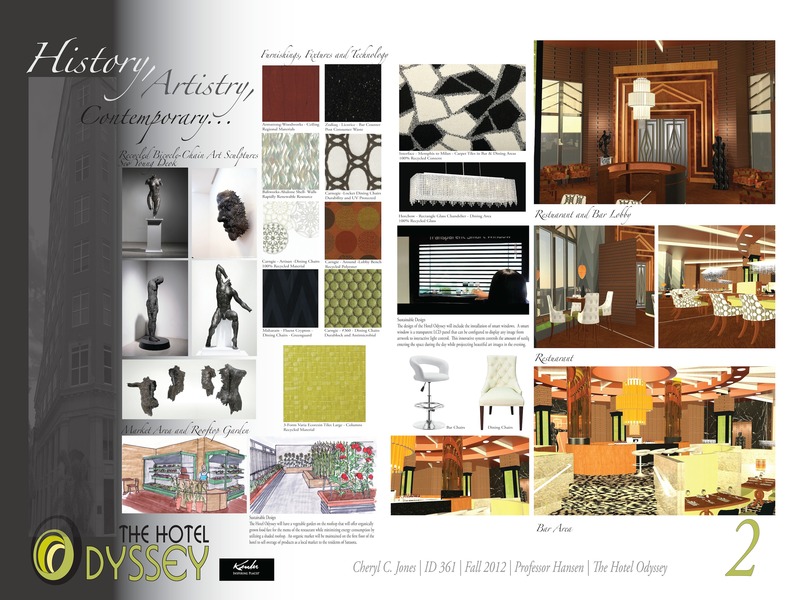 The Hotel Odyssey is for those who quest for history and artistry, in a contemporary locale. This is where the odyssey begins. 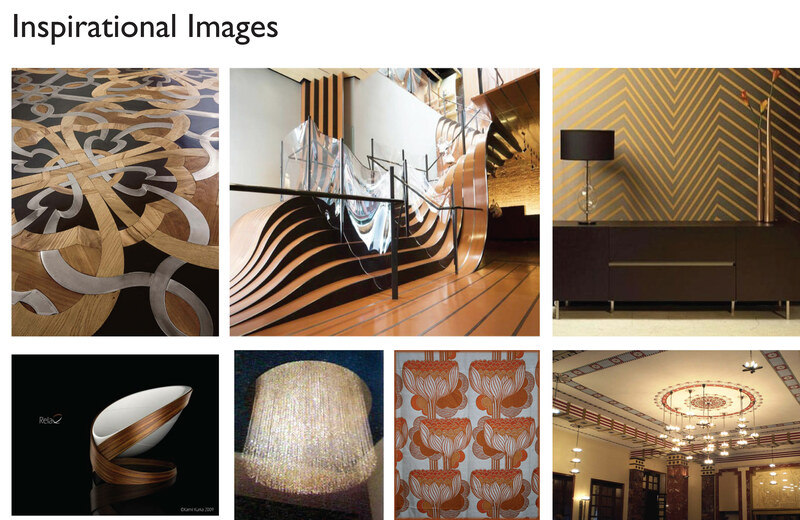 Inspirational Images for The Hotel Odyssey. 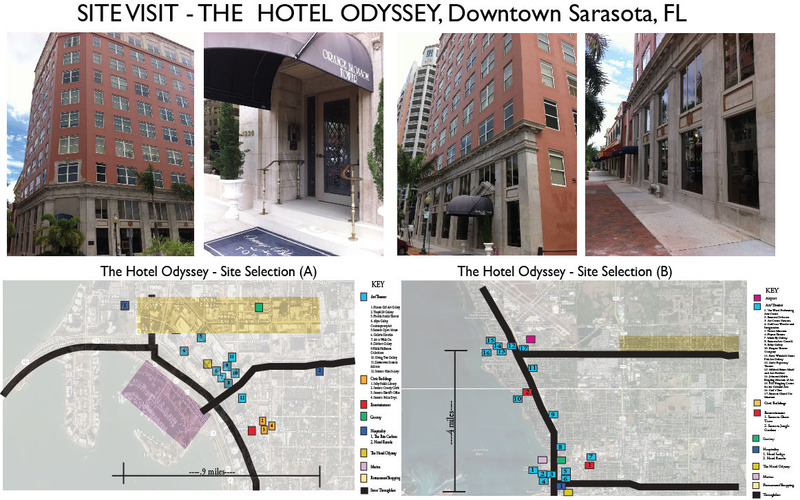 Site visit of The Hotel Odyssey and site mapping locations of theaters and art galleries near Downtown, Sarasota. 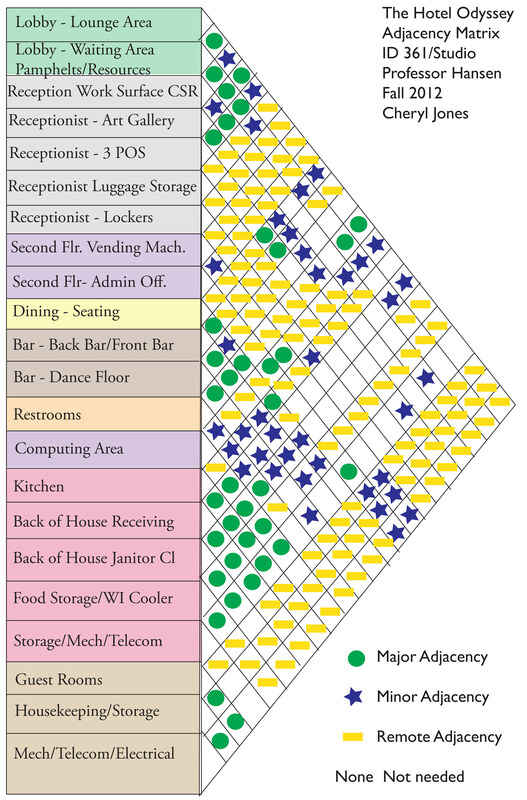 Process work showing adjacencies of the spaces for The Hotel Odyssey. 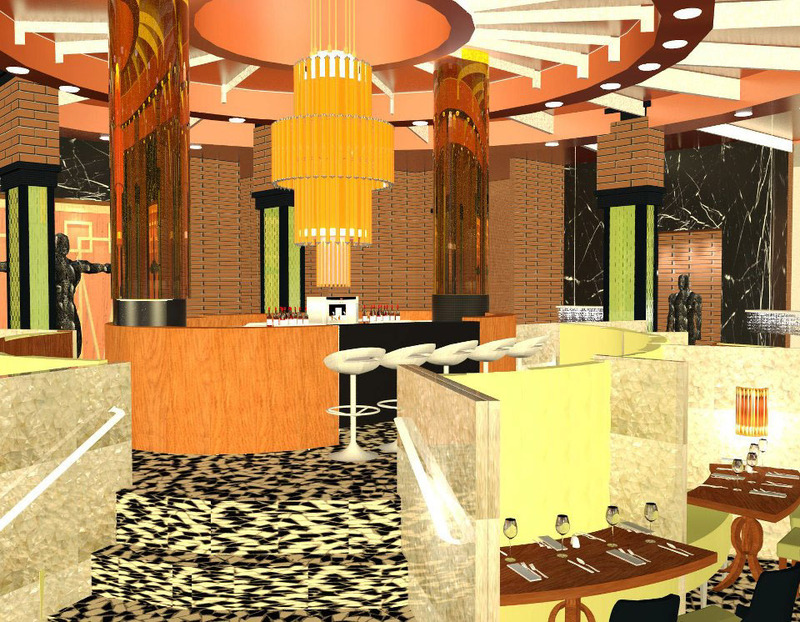 Perspective Rendering of the Dining Area of The Hotel Odyssey. 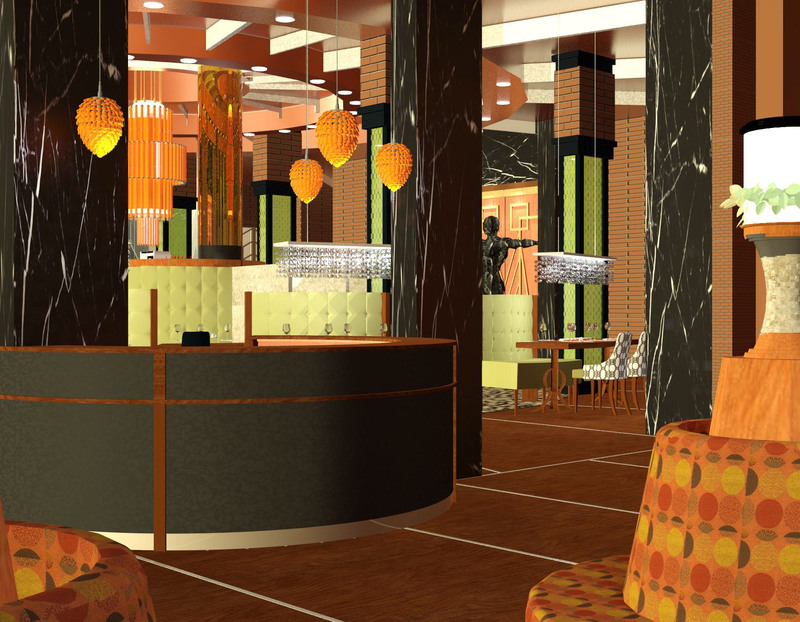 Perspective Rendering of the Bar Area for The Hotel Odyssey. 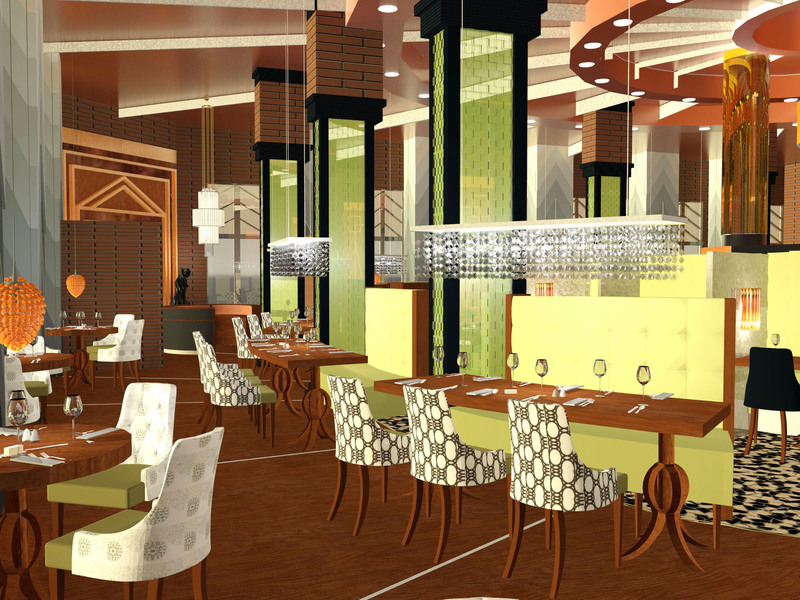 Perspective Rendering of the Dining Area for The Hotel Odyssey. 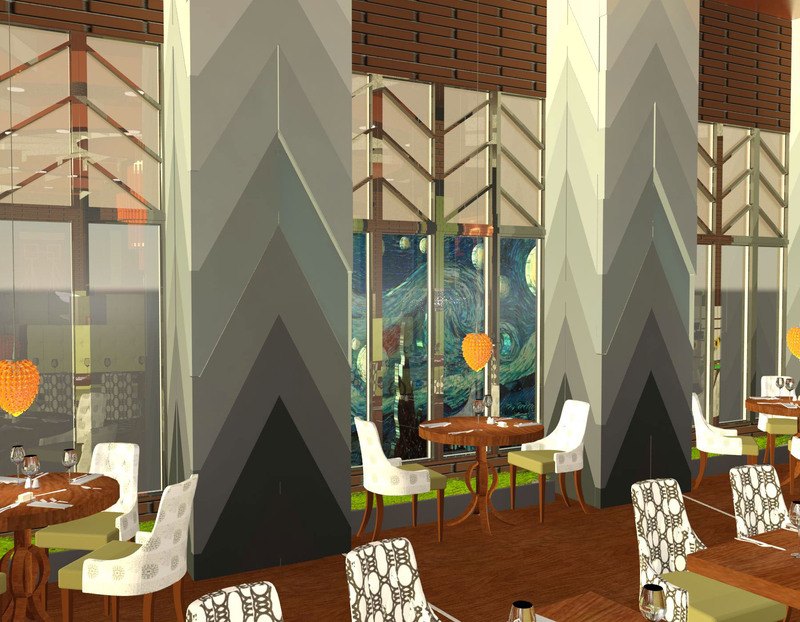 Perspective rendering of the restuarant lobby for The Hotel Odyssey. 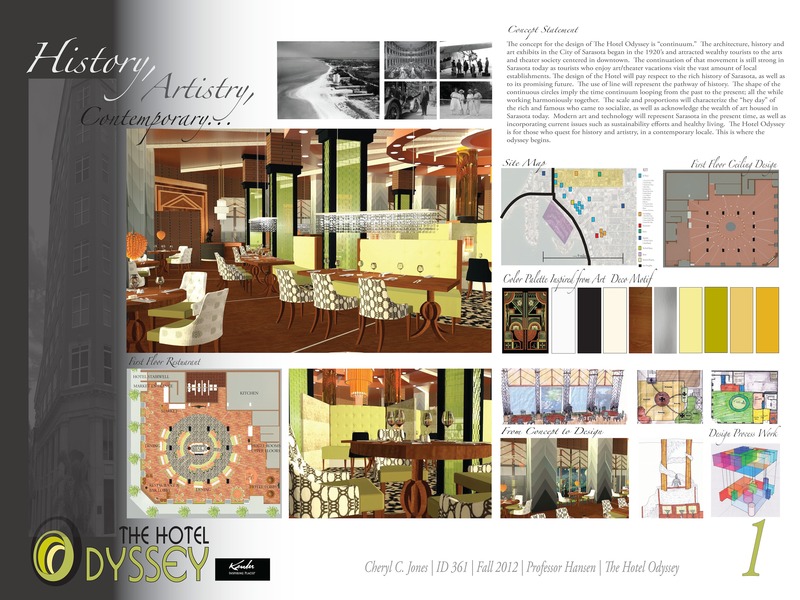 Perspective rendering showing the Smart Windows displaying art scenes in the dining space of The Hotel Odyssey. 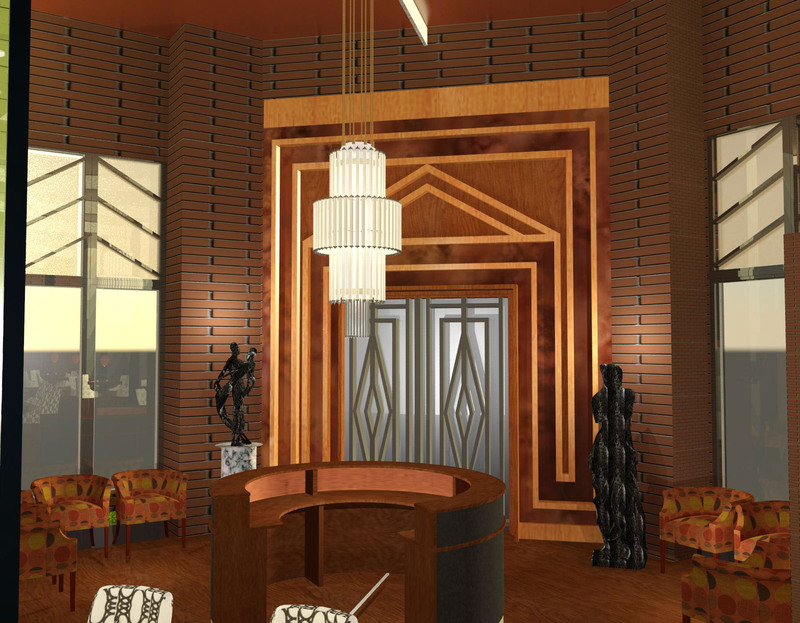 Perspective rendering of the hotel lobby for The Hotel Odyssey. 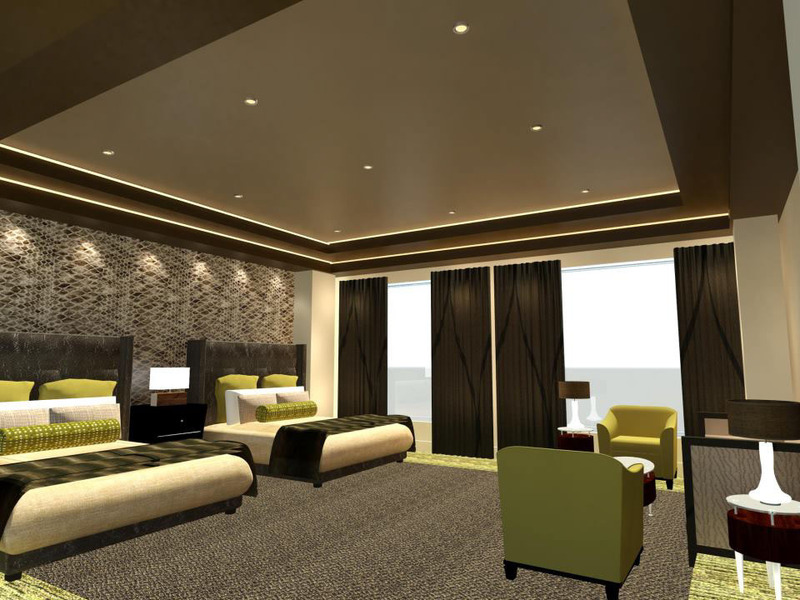 Perspective rendering of the hotel guest room for The Hotel Odyssey. 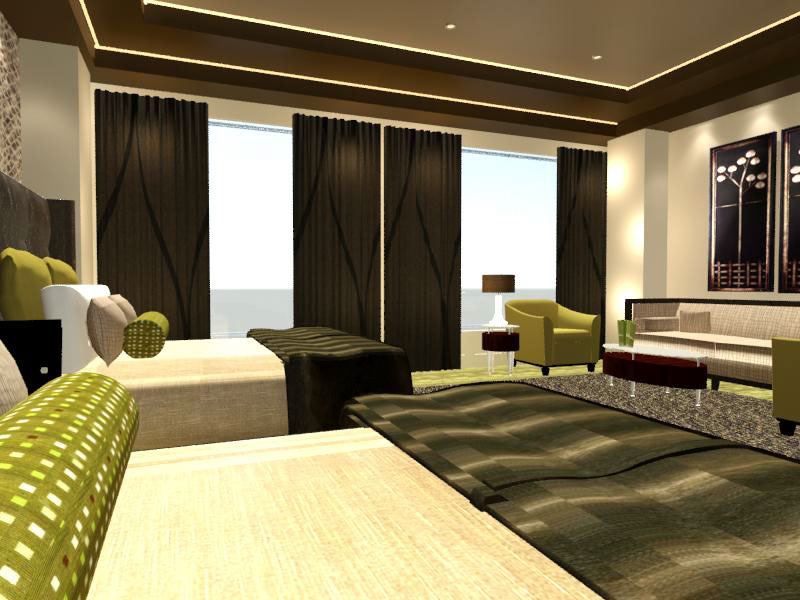 Perspective rendering for the hotel guest room for The Hotel Odyssey. 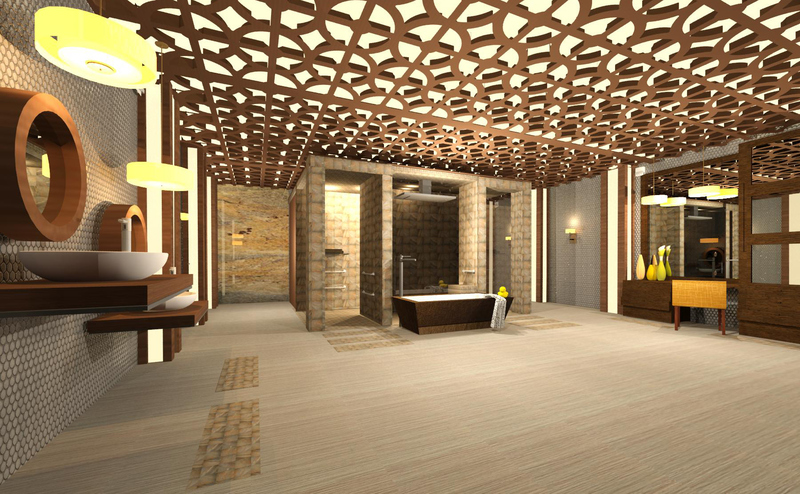 Perspective rendering of the guest room bathroom suite at The Hotel Odyssey. Presentation Board #1 for The Hotel Odyssey. 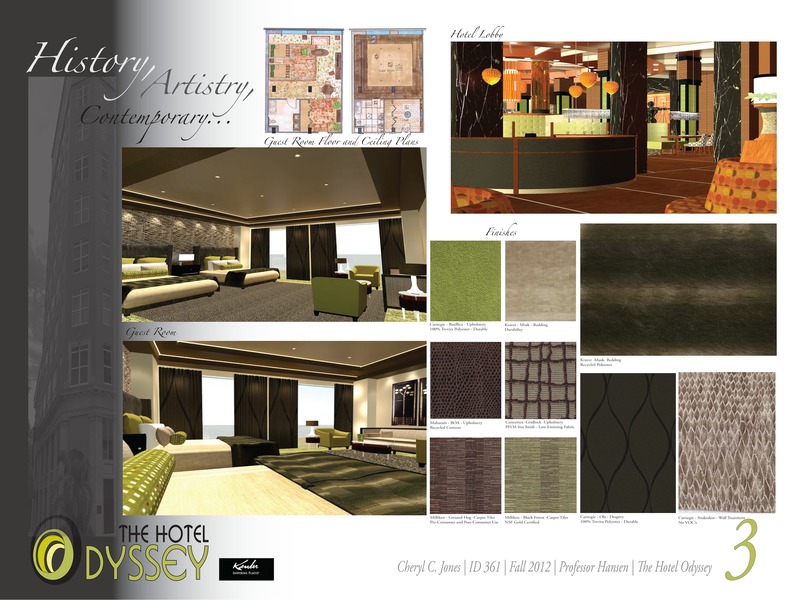 Presentation Board #2 of The Hotel Odyssey. Presentation Board #3 of The Hotel Odyssey. 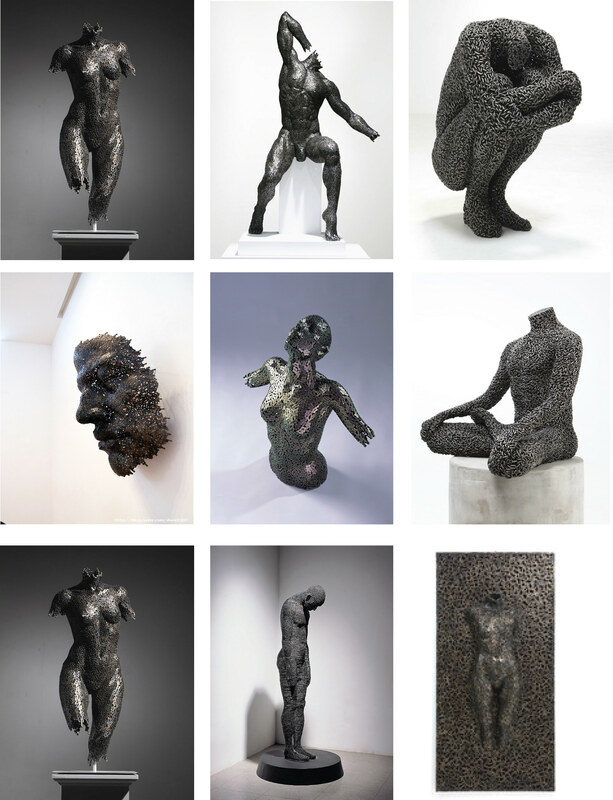 Art sculptures made from recycled bicycle chain by artist Seo Young-Deok for sustainability efforts. 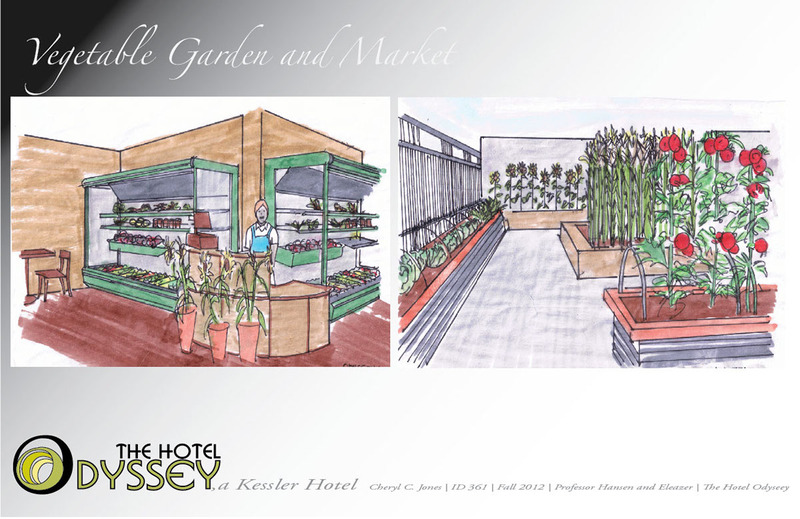 Sketches of vegetable roof-top garden and market for The Hotel Odyssey for sustainability efforts. 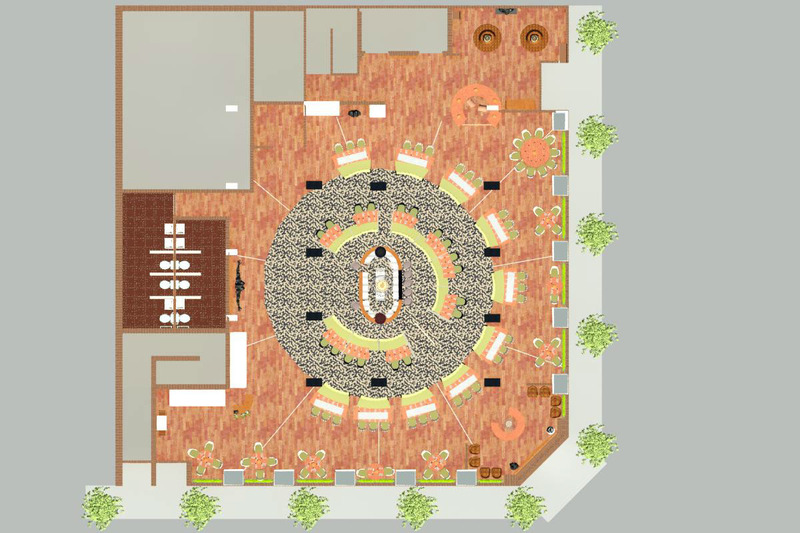 Rendered Floor plan of the First Floor for The Hotel Odyssey. 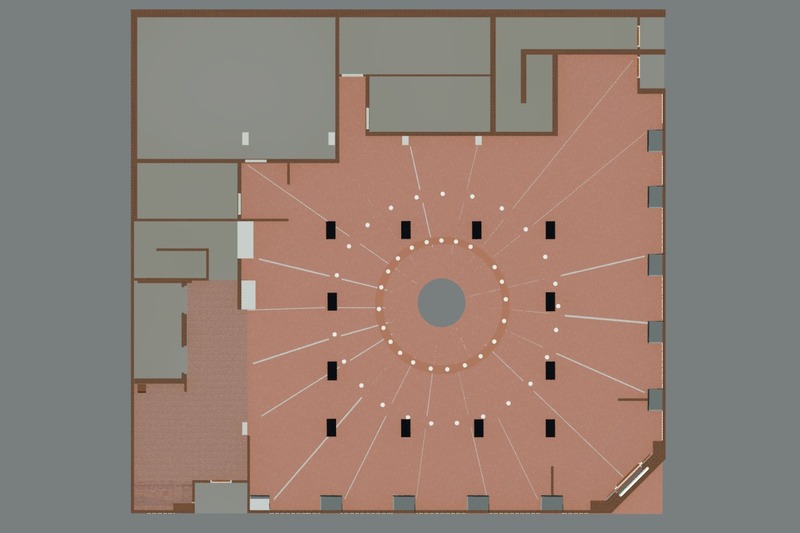 Rendered Ceiling Plan for the First Floor for The Hotel Odyssey. 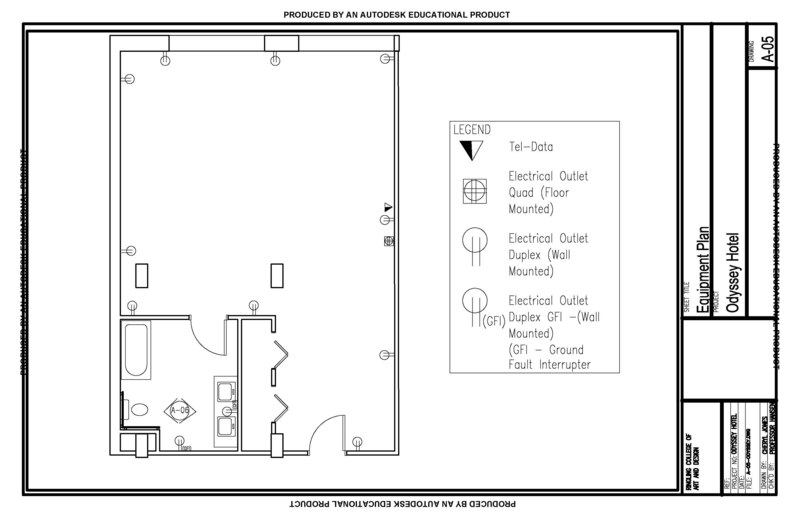 Autocad Dimension Plan of the Guestroom for The Hotel Odyssey. 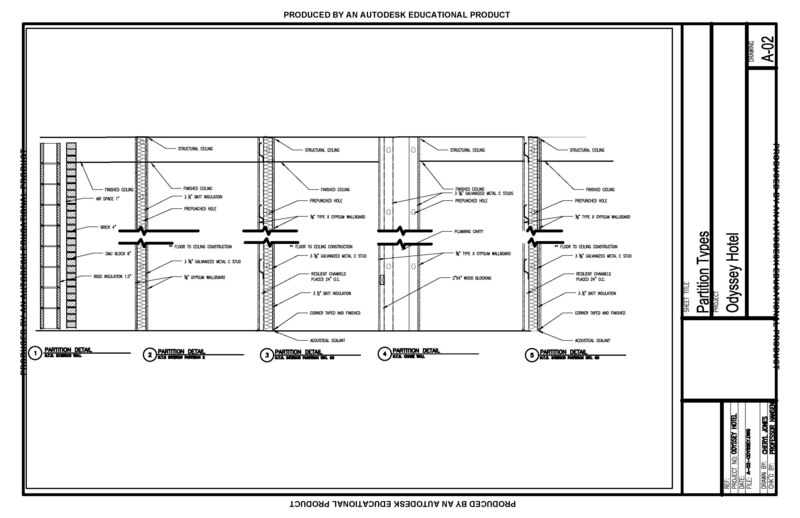 Autocad Partition Type Plan for The Hotel Odyssey. 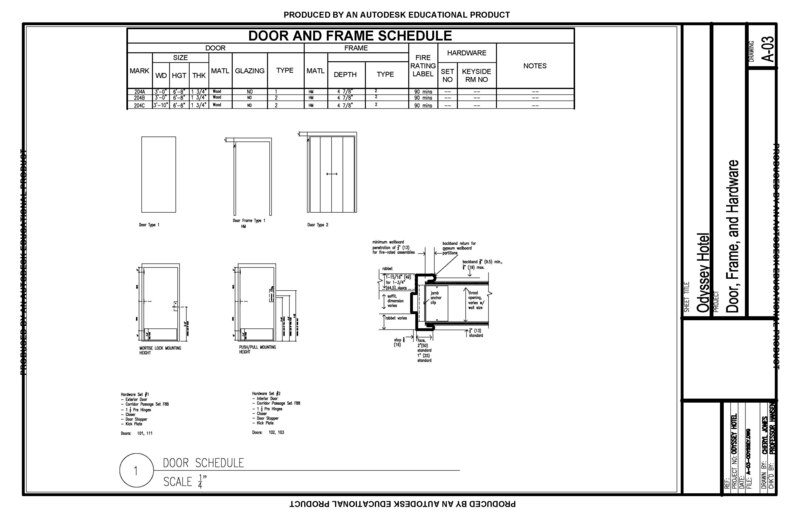 Autocad Door, Frame and Hardware Schedule for The Hotel Odyssey. 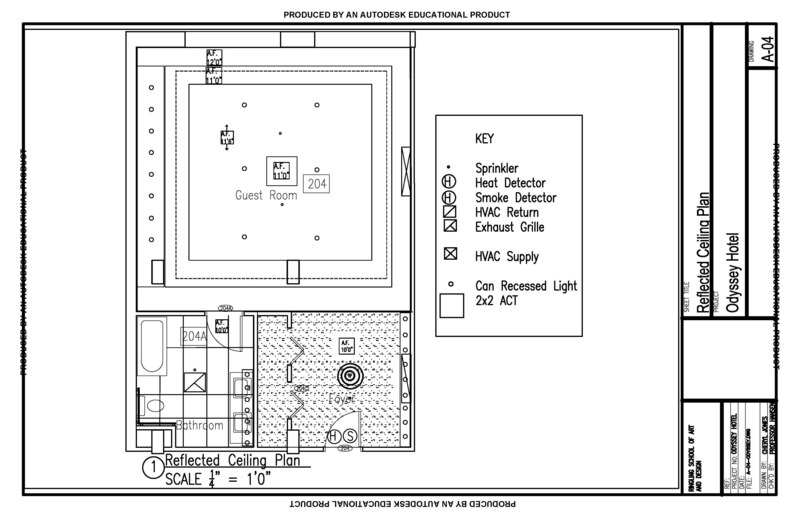 Autocad Reflected Ceiling Plan for the Guestroom for The Hotel Odyssey. 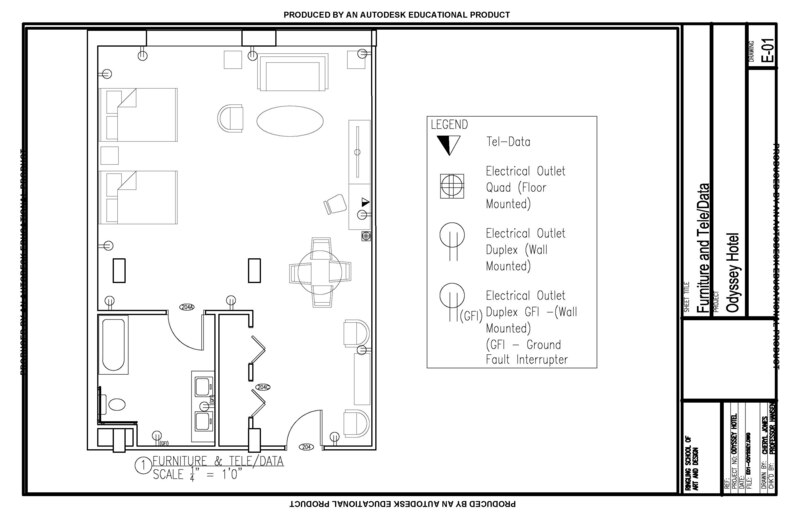 Autocad Equipment Plan for the Guestroom at The Hotel Odyssey. 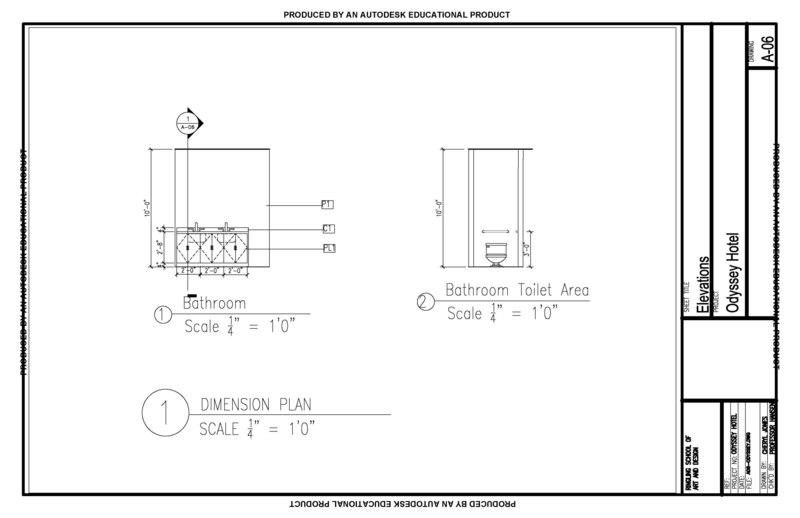 Autocad elevations of the Guest bathroom at The Hotel Odyssey. 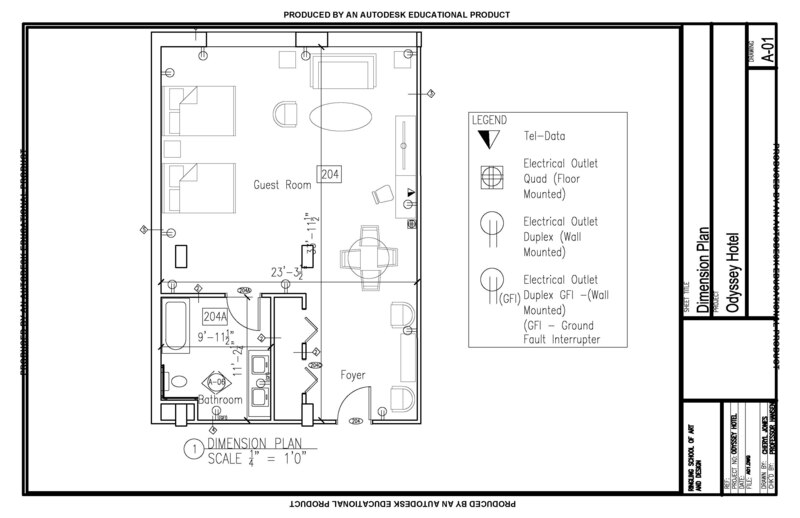 Autocad Furniture and Tele-Data Plan for The Hotel Odyssey. 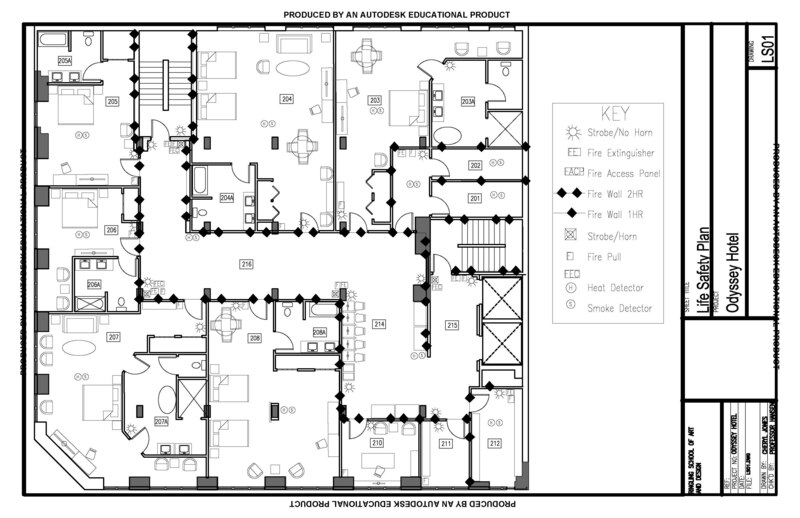 Autocad Life Safety Plan for the Second Floor of The Hotel Odyssey.